This Saturday I will be hosting a Tupperware party, and featuring rose among thorns candles as well. It will be an opportunity to learn some new tricks and discover new kitchen gadgets, as well as some old favourites. You'll also be able to see the entire rose among thorns candle range up close and personal. You'll be able to smell all the scents, and see how they look lit up in all their glory. I will also have a prize draw on the day, of three mini-scented teardrops and a candle plate. 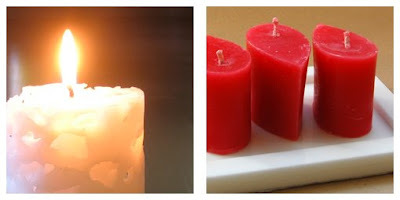 I will also have my candle recycling promotion – bring any old candles, and get a 10% discount coupon. This can include: candle stubs, dripped wax, used tealights and any other candle you simply don't want any more, but would like to recycle. It will be from 2-5 Sat 1 August at my place. For more information email me on rose (at) roseamongthorns.co.nz, or use the contact me option on my profile page. Feel free to bring a friend.